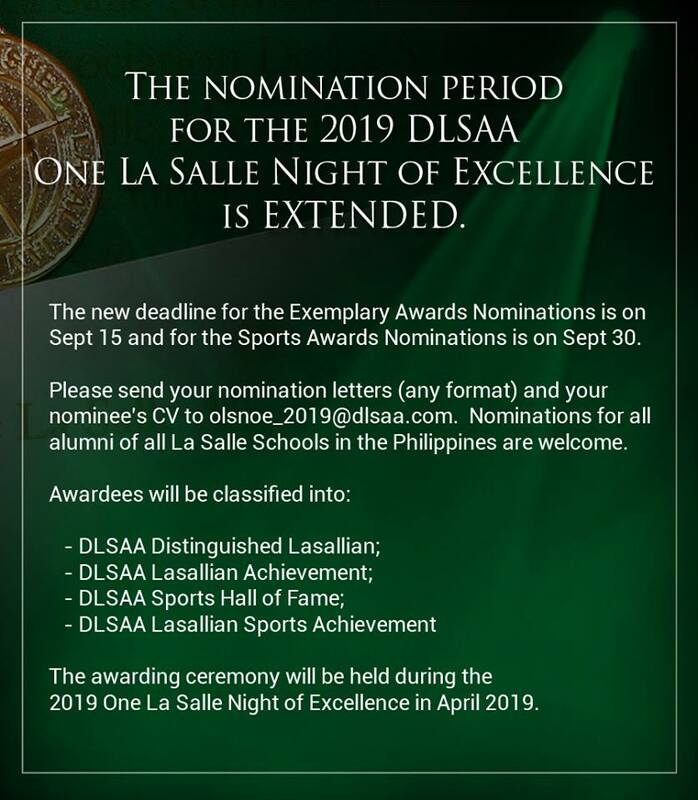 The nomination period for the 2019 DLSAA One La Salle Night of Excellence is EXTENDED. The new deadline for the Exemplary Awards Nominations is on Sept 15 and for the Sports Awards Nominations is on Sept 30. Honors and Awards Nomination form can be downloaded at http://www.dlsaa.com/downloads. 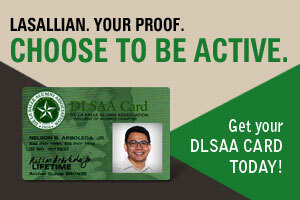 To know more about the DLSAA Honors and Awards, click here.